Are you planning to have a sweet home of your own, but don't have enough money in your account to make that happen? No worries! This is where home loans come into role. Home loans can help you become financially capable of buying home. Home loan is a long-term debt that we opt for. We need to pay EMI every month. Also, don't forgot to check out 5 Factors to Consider Before Buying Investment Property in India. So, one must be very careful while selecting bank to get home loan. Since banking sector in India is quite large with multiple of tens of banks offering you home loans, the selection task is bit complex, hard, and time consuming. But, you don't need to worry at all, as I am here with the list of top 5 banks for home loan in India. When it comes to home loan, SBI Bank is what shines at the top. This bank covers 24.50 percent of total number of home loan borrowers in country. The bank has got tough rules to approve home loan, plus you need to little hard work moving here and there in getting the requirements fulfilled. Well, only the initial process is bit tiring, after the loan gets approved, you will surely enjoy a smooth experience. After SBI, it's HDFC that tops the chart. The bank has been enjoying up curve in number of home loan borrowers for past few years, which apparently tells the improvement in features, in service by the bank. HDFC is known for offering its top-notch service. Low interest rate, high-end customer help are the major reasons why people like to opt for HDFC bank to get home loan. Increasing count of consumers has made this bank shine in this list about best banks for housing loan in India. If you did not like any of above listed in this list about top 5 banks for home loan in India, due to one reason or another, then you should take time in checking out what LIC Housing Finance has got for you. 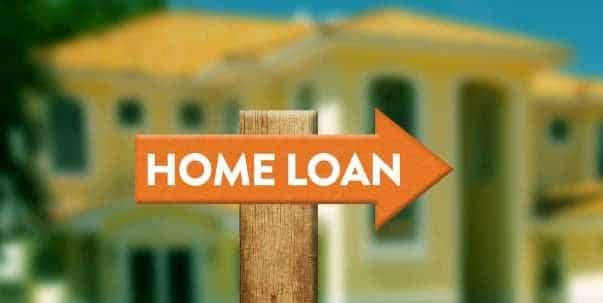 You need to go through lesser document work when applying for home loan, which simply ease the process. You also get the option to fix rate of interest for five years. Moreover, if you have insurance scheme with LIC, then you can enjoy lesser interest rate on your home loan amount, as compared to those who don't have any scheme with LIC. Yet another private bank making into this list is Axis Bank. This bank has got handsome count of consumers which has been growing continuously. Various surveys done by independent bodies tell that people are quite satisfied with services of Axis bank. Last in the list is ICICI bank. After analyzing data from various surveys, we figured out people are with mixed reviews for this bank. Still, the services, the attractive interest rate and other factors have helped this bank grab a respectful position in this list. Do you need personal or business loan without stress and fast approval? If so, please contact us as we are now offering loans at prime interest rate. Our loan is secured and safe, for more information and applications, please reply to this e-mail. (privateloaninvesment@outlook.com) the name and amount needed. How to Transfer Money From SBI Anywhere App?